Google Places? 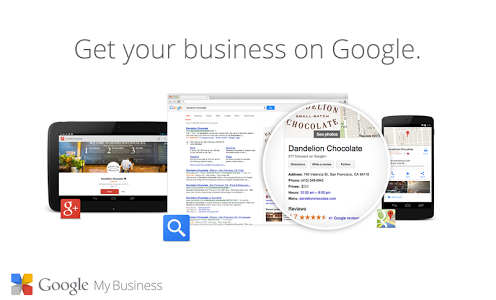 – Google My Business! Small businesses that wished to maximize their presence online via the world’s biggest search engine would once turn their attentions to – among other things – Google Places. However, those who have checked more recently will have noticed its evolution into the perhaps confusingly-titled Google My Business. So, why is it so essential to sign up your company to Google My Business? Once upon a time, as a small business, you would need to cycle through various separate Google sites to take advantage of the search giant’s many services for the management of your business and customers. Now, all of these services are pooled into one platform, making things easier for everyone. The range of services incorporated into Google My Business includes, for example, Google+, the social networking platform that enables the sharing of messages, photos, videos and links with your followers, now possible direct from your My Business page. In addition, you’ll find the Reviews platform that gives your business a rating on the basis of its reviews, as well as Google Analytics, a hive of website statistics accessible from your business dashboard, and even Insights, which gives you a constantly updated picture of your market visibility, engagement and trends. Add the Maps service for the management of your firm’s location information and Hangouts, which makes possible video chats with your customers, and you have quite a formidable platform on your hands. Many small businesses want to reach out to more people, but their online presence may presently be a bit disorganized, consisting of a mishmash of semi-outdated pages. With My Business, you benefit from an integrated profile for your company on Google, giving you a more coherent online presence with the ability to easily oversee your brand page, information, location, reviews and social media marketing on one platform. This brings so many different ways to get the most out of your company’s online activities. Let’s imagine that you’ve recently been getting some negative reviews. You can use Google My Business to not only read those reviews, but also respond to them as the business owner and host Hangout discussions with disgruntled customers to address their concerns. Or what if you’re devising a new advertising campaign? Information gleaned through Google My Business, such as the source of your customers and which customers are reviewing you most positively, can contribute to a better-focused and more effective marketing campaign. Once you’re ready, you can even use Google+ to launch the actual campaign events. Sign up now to Google My Business! Such an impressive mix of simplicity and functionality really does make the organisation of your business’s online presence and activities so much easier, an especially big boon if you are a small firm. Don’t forget that our experts here at FCR Media can set up a Google My Business account for you – just call us on 01 6188000 to find out more, or check out our comprehensive digital package for businesses throughout Ireland.